We here at The Your Golf Travel offices are amongst some of the biggest golfing geeks you’ll find anywhere. Typically there is one or two of these “types”, you know the ones who are practising their swing in any reflection or reading about the latest and greatest ways to “lower your scores”, well YGT is full to brim with this lot. No golfing chat is judged and we’re free and easy to talk at will about how amazing every week of golf is. 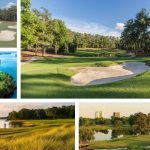 Well, as you can imagine this week has stepped it up a notch or two with a certain event happening in Augusta, Georgia. Everyone in the office has an opinion on this simple question – who is going to win The Masters? Well, the great thing about modern betting is that this isn’t the only market you can have an opinion on. 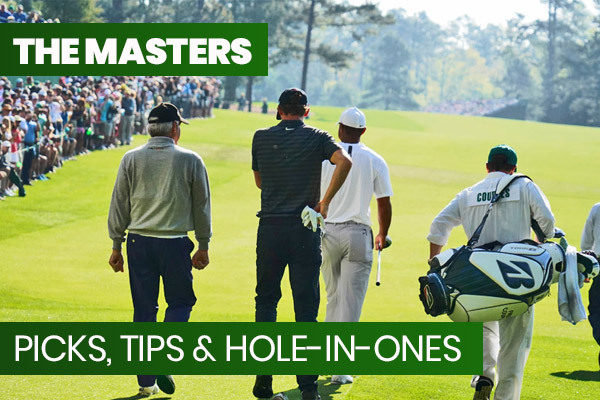 Whether it is an accumulator, Fred Couples to finish in the Top 20, Tiger Woods to make a hole-in-one, Sandy Lyle to make the cut, winning score, lowest round or around another 1,000 other permutations, there is now so much more that you can have an idea on. This battle of the lefties looks very interesting on paper. You’ve got Bubba Watson and Phil Mickelson, both multiple-Masters winners who are in great form alongside Brian Harman who has started to show some good touches over the past few weeks with good showings in the WGC’s in Mexico and Texas. The winning score at The Masters has been quite varied in recent years, ranging from Jordan Spieth’s record-equaling -18 in 2015 to Zach Johnson’s +1 total in 2007. The average over the past 5 years has been -10 (-9.8 to be precise) so it’ll be safe to presume that a few under par each day should be enough to claim the Green Jacket. What will the winning score be at #TheMasters? Probably the most fun bet to have. 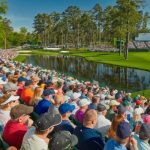 Given that the odds of this being done by an amateur golfer is 12,500/1 it seems amazing how many of these we see each year at Augusta during The Masters. The famous Sunday Pin at The 16th seems to be a popular spot for a hole-in-one with Louis Oosthuizen’s deflected shot in 2016 perhaps the most memorable. Will there be a hole in one at #TheMasters? A very hard question. With so many golfers in form in the run up to the event it looks like a guess from about 20. However the most recent backing of Rory McIlroy by 18-time Major Winner (6 of them were at Augusta National), Jack Nicklaus, looks set to put him out in front. If McIlroy does win, he’ll join a very elite club of golfers as winner of The Grand Slam (all 4 Major Championships). Who will win #TheMasters ? With a host of great names hailing from Asia this week this looks like a very close bet. Perhaps the most exciting is Shubhankar Sharma who nearly claimed the WGC in Mexico before falling away to Phil Mickelson before winning in India just last month. Many will look to Japan’s Hideki Matsuyama with his proven pedigree and great past Masters form, will it be his week? Who will be the top Asian golfer at #TheMasters? Considering that this group includes Major winners Jason Day and Adam Scott it is surprising that so many are backing Marc Leishman for the accolade of top Australian. 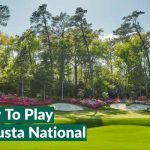 His recent performances in Majors and on The PGA Tour have really set himself out there as a top player on the world stage so great things are expected and is certainly considered as a dark horse at Augusta this week. Who will be the top Australian golfer at #TheMasters? There are a host of exciting names on show this week making their first appearance at The Masters. With the world of professional golf seemingly able to produce top class talent year-after-year it is no surprise to see so many adore the top of the leaderboard each week and will no doubt challenge this week as so many have on their debut at The Masters – Jordan Spieth being the most recent example of this in 2014 where he finished in a tie for 2nd. Who will be the top debutant at #TheMasters?